Schenectady was, from the beginning, a busy place, standing at the intersection of the north-south and east-west water routes through New York. Before 1800, the fastest and easiest way to move people and goods was by water, and travelers to and from the west came through here. 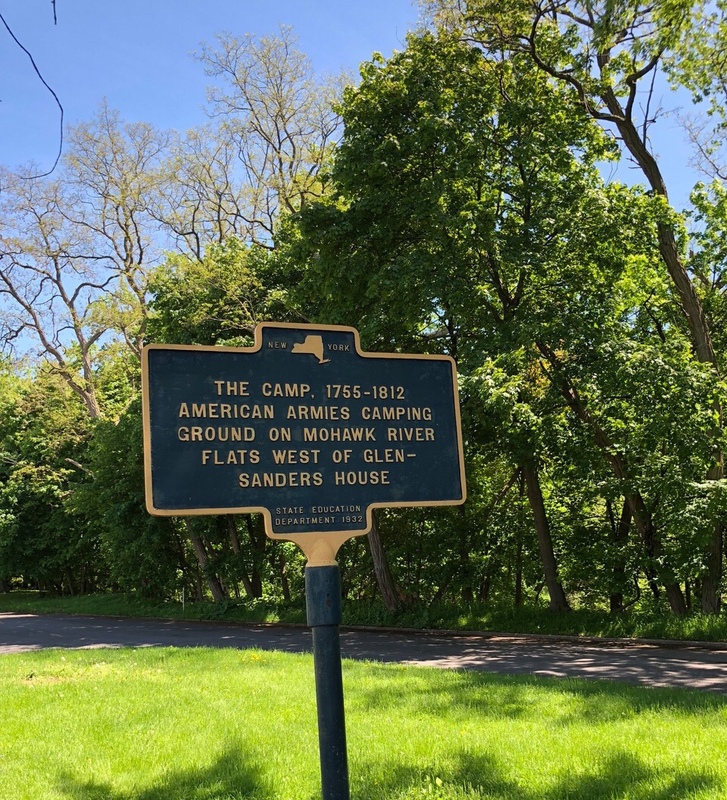 The Camp was a large area along the Mohawk River (today the area to the west of the Glen-Sanders Mansion, from Mohawk Ave. south to the river’s edge, and west to approximately S. Reynolds St.). The Camp was used as a mustering ground for almost 150 years. Native war parties camped here, colonial forces during the French and Indian Wars, and the Continental Army in the Revolution. The Mohawk Valley Militia, active during the War of 1812, also camped here. The largest force was that of Sir Jeffery Amherst in 1760—6000 Americans and 4000 British with 200 boats—on their way to capture Montreal. That’s many more people than live in Scotia today. The sign is at the corner of S. Ballston Ave. and Sanders Ave.